eBay is launching a desktop app today for eBay Now, its local same-day delivery service for purchasing goods from brick-and-mortar stores such as Target, Best Buy and Office Depot. The Web incarnation includes all of the same functionality found in the original iOS and Android apps – albeit with a few tweaks and enhancements to make it as “visually rich” as possible. eBay Now has only been available in three cities until now – San Francisco, New York and San Jose – but today, the e-commerce giant is extending the service further down the Bay Area and to Brooklyn and Queens in New York. 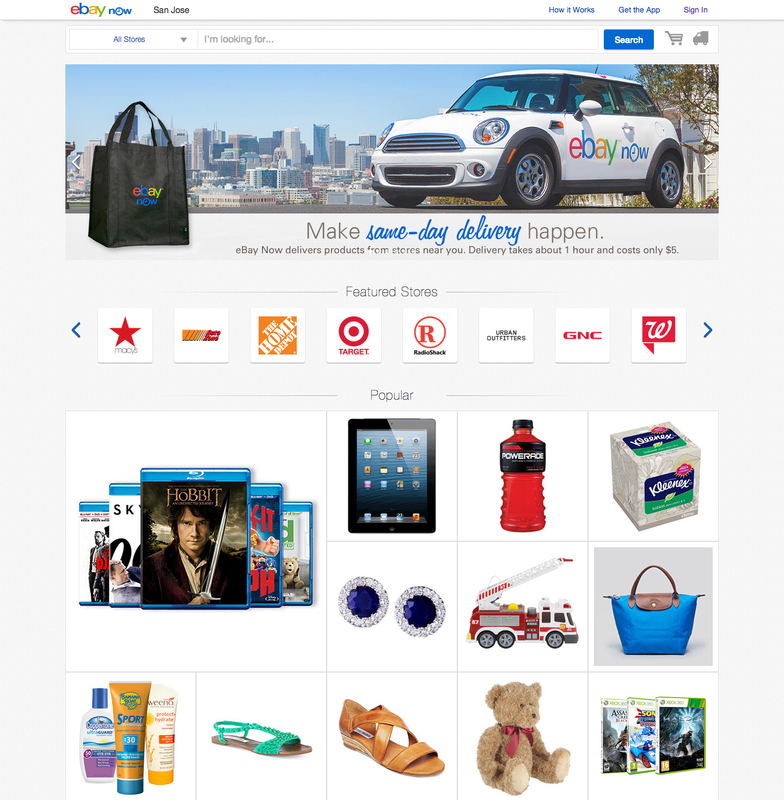 eBay is also planning to debut eBay Now in Chicago and Dallas later this summer.